3 bedroomed bungalow – will accommodate 2-10 people. 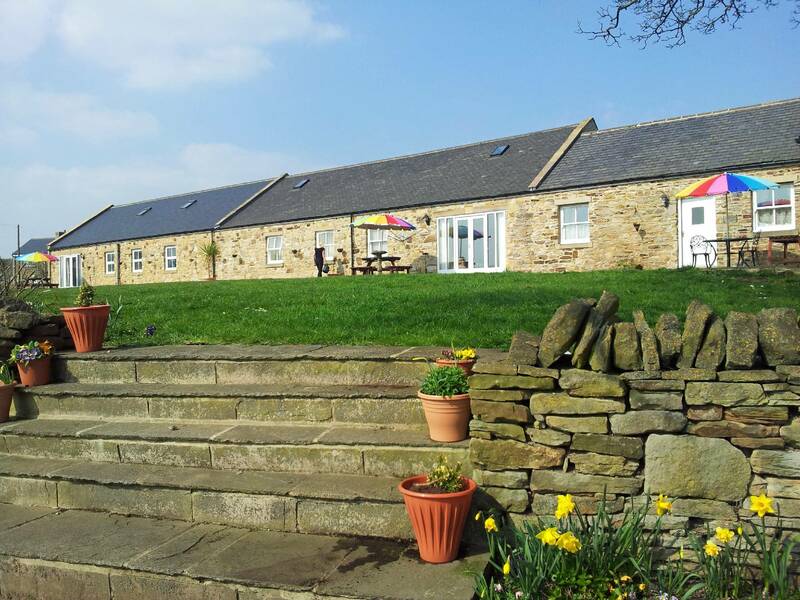 Prices From £500 per week, £90 per night - min 4 nights. 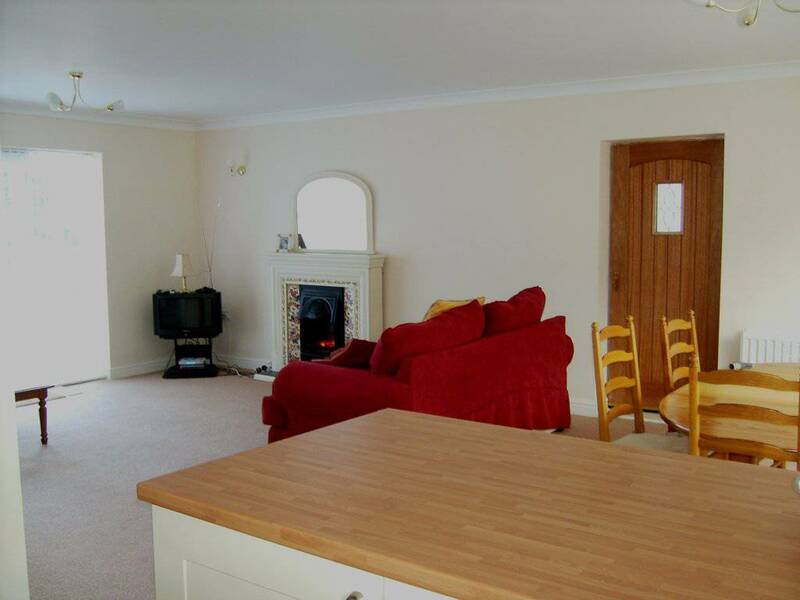 Spacious living room with open plan dining area and breakfast bar separating kitchen with microwave, cooker, fridge/freezer, dishwasher, toaster, kettle, washer/drier. French windows opening onto South facing patio area with beautiful views over open countryside. 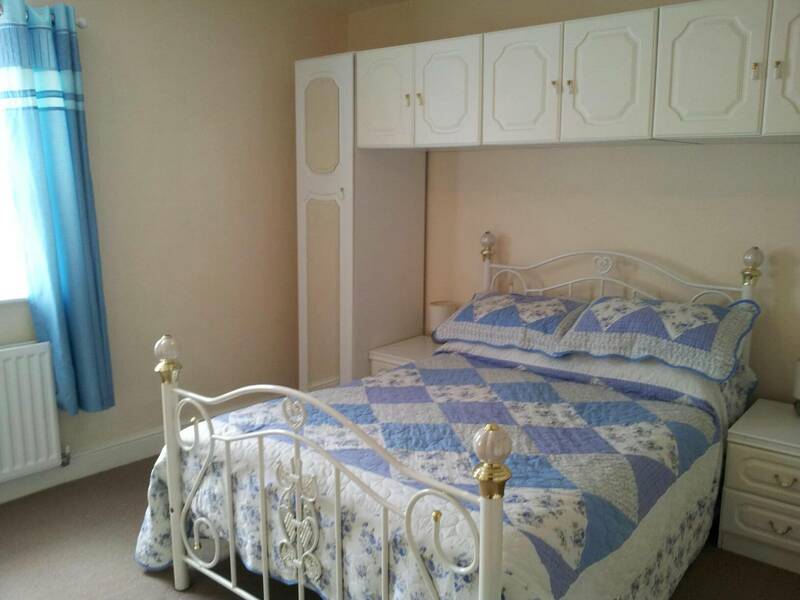 Three bedrooms (2 triple and 1 double with en-suite shower room). Family bathroom with bath, vanity unit, wc, separate shower cubicle. Parking at rear and side of property.